Can art change the world? 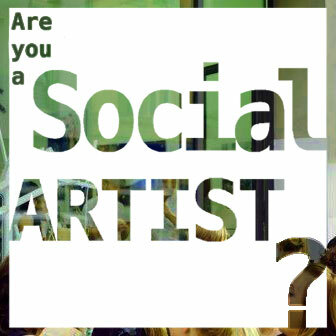 Under this question, the organizers of the Social Art Award called for artists world-widely to submit their socially critical works. Artists from 131 countries responded with extraordinary works and projects. On September 5, 2017, the three winners Lino Tonelotto from France, Quek Jia Qi from Singapore and Diogo da Cruz from Portugal were honored, and exhibited at WHITECONCEPTS Gallery in Berlin. They demonstrated with their politically engaged works that art can make current events visible and tangible. This is an important understanding for bringing forward the debate and thus a social change. 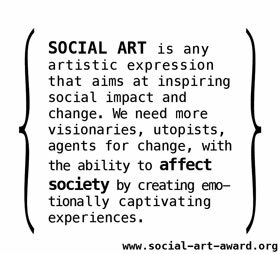 The Social Art Award was initiated by the Institute for Art and Innovation. Its aim is to highlight the importance of social artists and their work to society.